If you are already working from home you may be struggling to work in a small spare room or at the kitchen table. You might also be regularly distracted by pets, children and family members. Your current environment may be draining your energy and failing to inspire you. 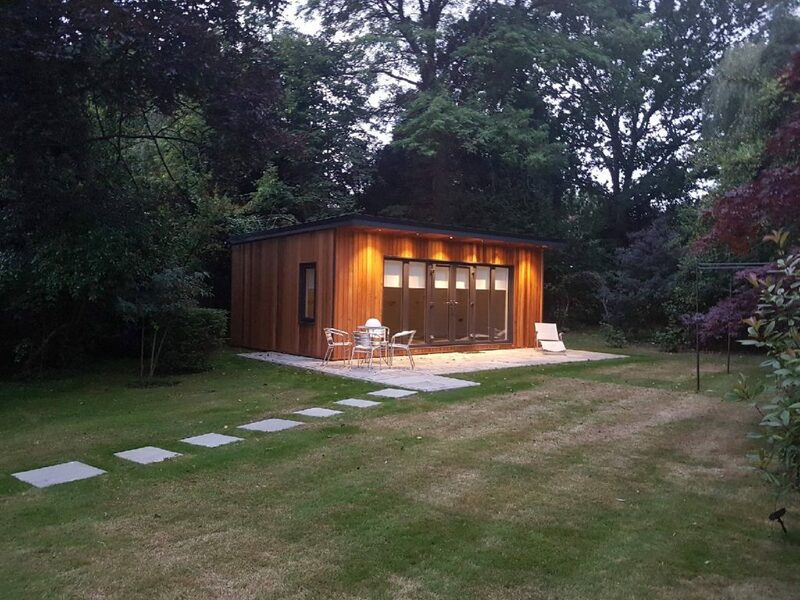 All our customers love their new garden office buildings. 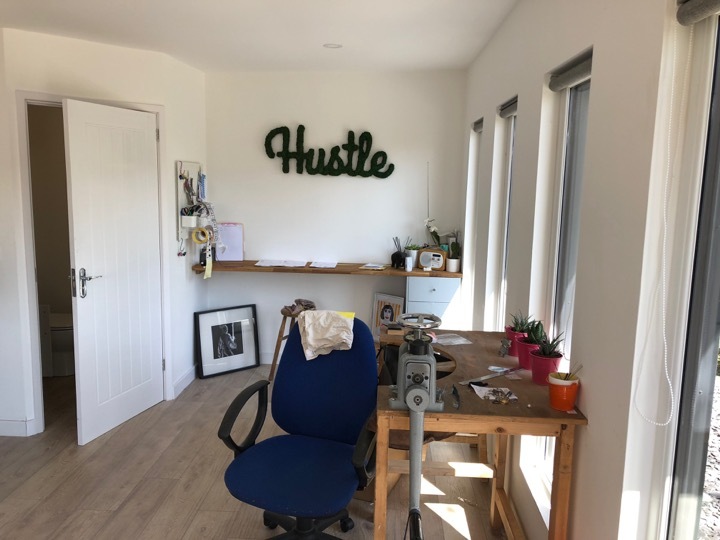 Their productivity increases and they gain a new flexible space that meets their exact business needs – and even with a small garden office they frequently say the space is larger and more spacious than expected. A private workspace in your home garden – an attractive private space, affordable and self-contained outside of your home. 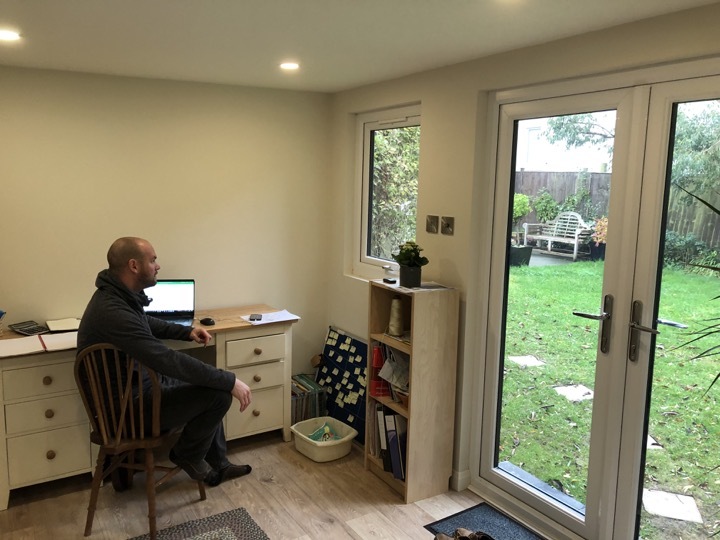 There’s a reason that garden offices are the preferred choice of home-based workers looking for a unique personal space and detached professional working environment. 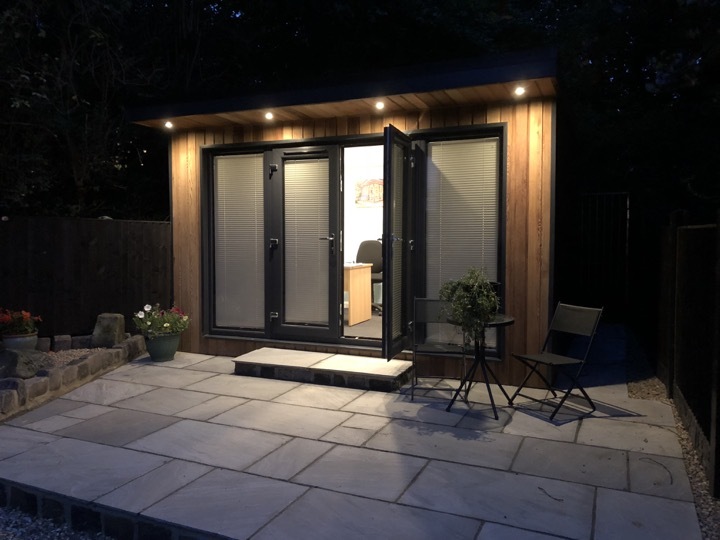 Increase the value of your home and say goodbye to your daily commute when you install a garden office building at home. When compared to the monthly cost of renting expensive office space a My Eco Space garden office is also much cheaper. 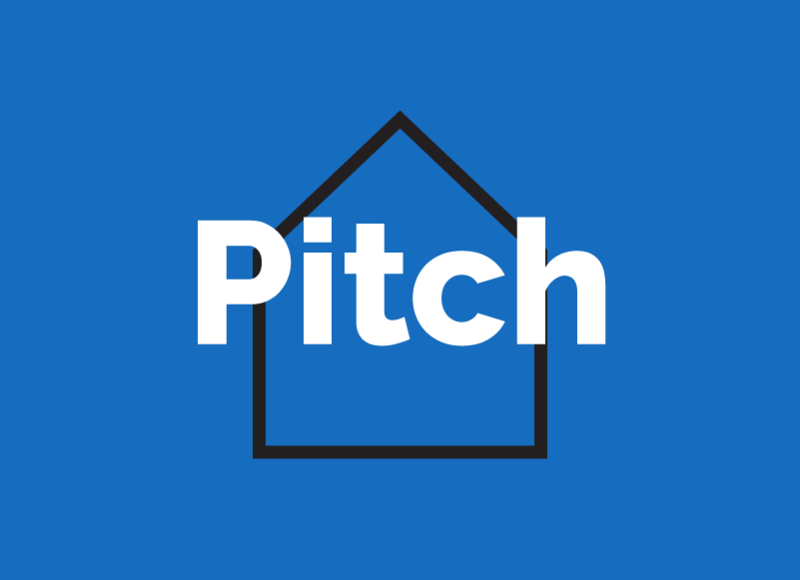 Ask us for a cost of ownership price comparison. 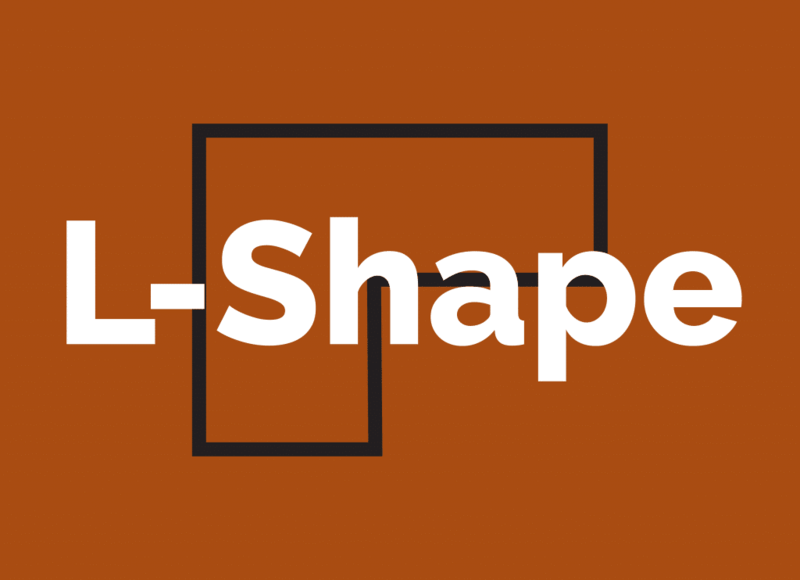 All businesses are different and we work hard to create a space that meets your unique needs and requirements. You might not be able to create the office of your dreams in your own house but it is a real option in the garden. 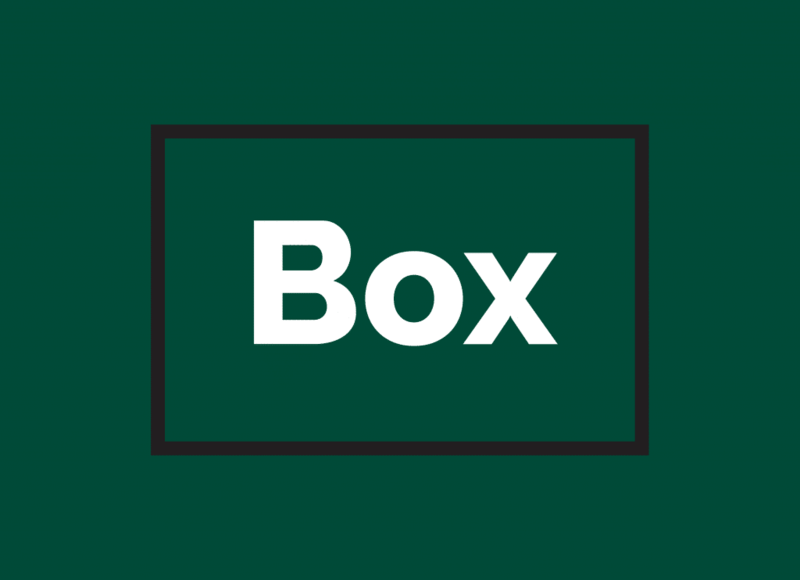 Whatever your line of business we can create a unique working environment which you will love and enjoy for years to come. 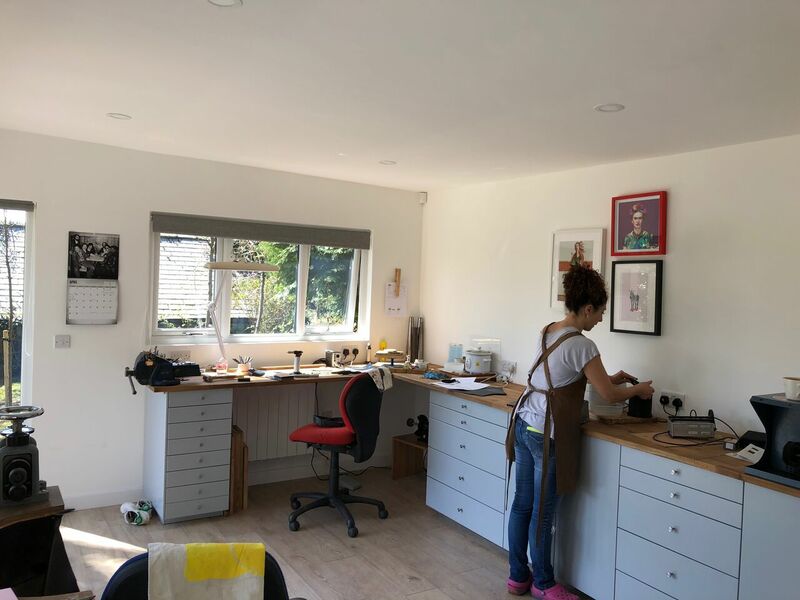 We install full electrics as standard including connection to suitable mains electricity. Additional information about build and construction can be found here. Standard Fit: 4-double sockets, LED Wide-angle light fittings, communications sockets, low energy digital ECO well heater. Optional Extras: Climate control heating and cooling, remote operation canopy lights, CAT6 broadband connection, TV coaxial connection. 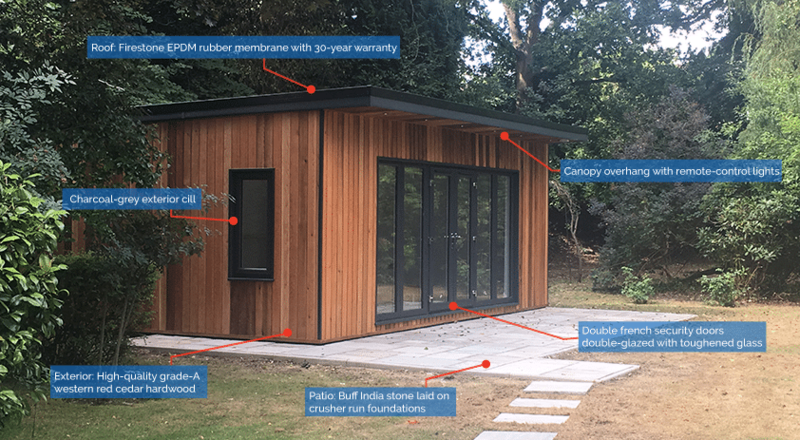 We include a 10 year warranty on all garden offices and often do not require an upfront deposit. There are zero hidden costs either. We fit security features as standard in all our garden rooms and use the highest standard of fixture and fittings available. Glass used is double-glazed and all windows and doors are manufactured to a standard of BS7412. Extra height ceilings, Bespoke exterior wall finishes, High-quality rubber flooring, Additional sound installation, Air filtration system installation, Sprung flooring, Under-floor heating, Toilets, Built-in furniture, Alarm systems and CCTV, Supplying Original Artwork.